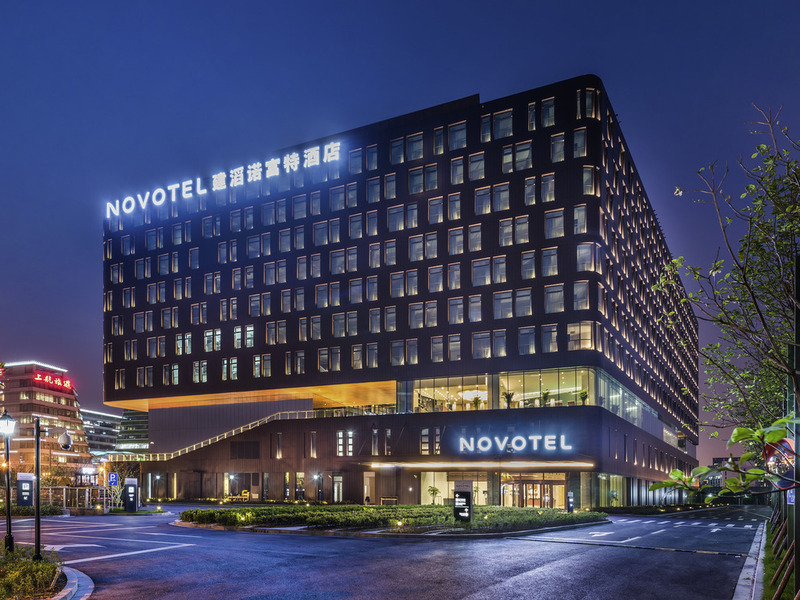 Novotel Shanghai Hongqiao is located in the heart of Hongqiao Commerce area. It is within walking distance to Metro Line2, National Exhibition and Convention Center, Hongqiao International Airport and Hongqiao Railway Station. It has 367 spacious guest rooms, 3 restaurants, 7 meeting rooms and fitness facilities. Perfect for business and leisure travelers. Shanghai is a destination, which combines history and modernity. Known as the "Paris of the East", it is one of the world's leading cities in finance, commerce, fashion and culture. Novotel Shanghai Hongqiao has 367 spacious guest rooms, 3 restaurants, 4 meeting rooms and fitness facilities. Perfect for business and leisure travellers. Our Superior Room mixes modern decor, ergonomic comfort and high end facilities: standing shower, iron, ironing board, safe box, mini bar, free WIFI access. Up to 2 adults and 2 children. YUE Chinese Restaurant offers a wide selection of Cantonese and Shanghai specials. At Food Exchange, you can choose freely from local and international dishes to get a simple, modern and balanced meal. At GourmetBar, enjoy our delectable themed food in a friendly setting. Perfect for a snack or beer at any hour.